The Civil Aviation Directorate of Bosnia and Herzegovina (BHDCA) has issued Air Operator Certificate (AOC) to a new BiH air company named FlyBosnia, authorizing it to perform commercial air routes, confirmed the company in the press release. “This is the final stage in the approval process which allows FlyBosnia to start flying. This is a very significant milestone for FlyBosnia, and also for the people and country of Bosnia and Herzegovina. It is the result of many months of hard work and dedication by the entire team at FlyBosnia and on behalf of the shareholders, may I both congratulate and thank each and every FlyBosnia team member for their tireless efforts in making the dream of FlyBosnia a reality”, said FlyBosnia CEO, Chris Gabriel. He emphasized that, in the coming weeks, the FlyBosnia team will be reviewing the numerous charter requests received and incorporate regular flights into their forward schedule, such that they can apply for take-off and landing slots at the respective airports. “Once our schedule is confirmed, the FlyBosnia website and Agent Network will go live enabling our Customers to fly to experience Europe, the Middle East and the natural beauty of Bosnia and Herzegovina via affordable direct flights with FlyBosnia. We look forward to launching FlyBosnia commercial operations and being the carrier of choice in connecting the Bosnian diaspora with their families here at home in Bosnia and Herzegovina”, Gabriel stressed. He thanked the members of the company International Partner Network, the team at Sarajevo Airport, and the Government and Regulatory Authorities in Bosnia and Herzegovina for their assistance in supporting FlyBosnia to achieve AOC status. Unofficially, the first commercial flight is expected at the end of January. The company earlier announced that, after obtaining the license, is would establish the routes from Sarajevo to London and Riyadh. Other plans include routes for Jeddah, Frankfurt, Stockholm and Amsterdam. 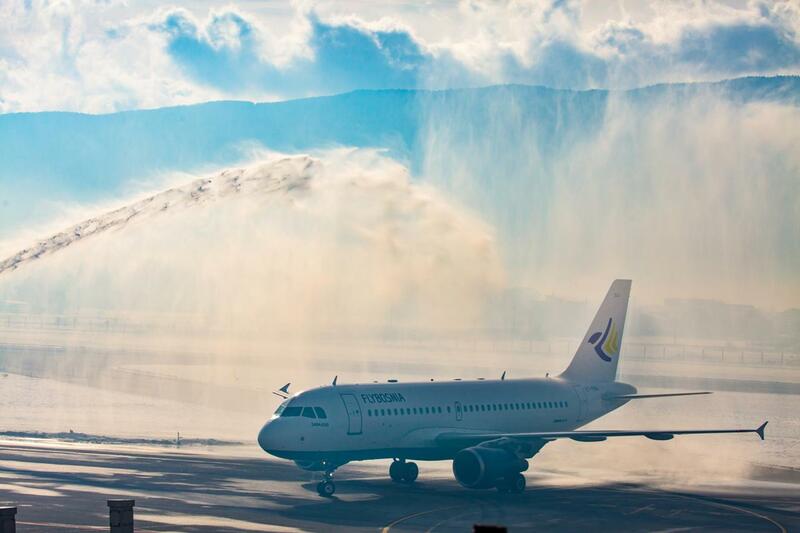 The company’s first airplane, an Airbus A319, landed in Sarajevo after a probe flight in Bulgaria. During December, flight crews made several test flights to Banja Luka International Airport. FlyBosnia planned to start operations last summer but the license obtaining process was longer than they expected. The founders of FlyBosnia are the representative and director of Al Shiddi Group, Nudžejma Skenderović, and Sulaiman Abdullah Al Shiddi who is also one of the biggest investors from Saudi Arabia in BiH. The Saudi conglomerate described Flybosnia as a new, young and dynamic airline company that will strive to provide exciting and safe flights to the highest standard of service.